Parents and children across the country are invited to catch the current and tune in to OETA-HD for the premiere of the first SPLASH AND BUBBLES movie event. “One Big Ocean” launches Monday, Jan. 16 at 9 a.m. and 1 p.m on OETA-HD. In the one-hour special, children learn about marine life while also discovering the great ripple effect their small gestures can have on a much larger community. In the movie, the Reeftown friends learn that we are all part of one big ocean. 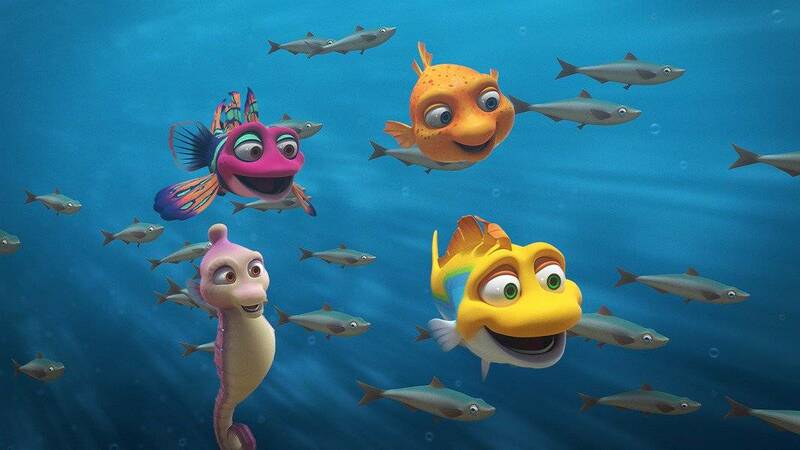 “One Big Ocean” repeats throughout the month on OETA and the OETA’s PBS KIDS channel. It will also be available for free on both pbskids.org and the PBSKIDS Video App, which is accessible on a variety of mobile devices and platforms such as Roku, Apple TV, Amazon Fire TV, Android TV, Xbox One and Chromecast. Additional new episodes from SPLASH AND BUBBLES will also debut throughout the week at 9 a.m. and 1 p.m. on OETA-HD. SPLASH AND BUBBLES is executive produced by Lisa Henson and Halle Stanford of The Jim Henson Company, Julie Phillips and Merrill Puckett-Miller of Herschend Enterprises, as well as John Tartaglia, Michael Shawn Lewis and Jill Shinderman. Tom Keniston is producer and David Skelly is supervising director. The Jim Henson Company oversees all distribution and merchandising for the property, and Herschend Enterprises administers all themed entertainment rights. The series is funded in part by the Corporation for Public Broadcasting and by the National Science Foundation (NSF).